When you spend a lot of money on something, it is always motivation to treat it right. A car is something that is always a big investment, and it starts to depreciate in value the minute that you buy it. So in order to make the most out of your investment, you want your car to last you as long as possible. Unfortunately, even when we are doing all that we can to keep our vehicles in good condition, they can still fail us before they are supposed to. This is often because of a few simple things that we do not even realize that we are doing. Here are a few of the worst things that people unknowingly do to their cars. This should be obvious, but the most harm that you can do to your car (save doing something dramatic like taking a sledgehammer to the engine–also not recommended), is to ignore any sort of fluid leak. The various kinds of fluid in your vehicle are all there for a reason, and each one serves an important purpose. So if something is leaking, go get it checked out immediately. If you drive a car with an automatic transmission, you probably see little purpose for the parking brake. However, when you don’t use it, you are actually increasing strain on your transmission, which is a very difficult and expensive thing to fix. Some mechanics have dismissed this as a myth, but even if it is, it is worth putting your parking brake on when you park if there is even a small chance that your transmission could last a fraction longer. Oil changes are quick, cheap, and easy. And yet there are many car owners who still neglect them when they are needed. 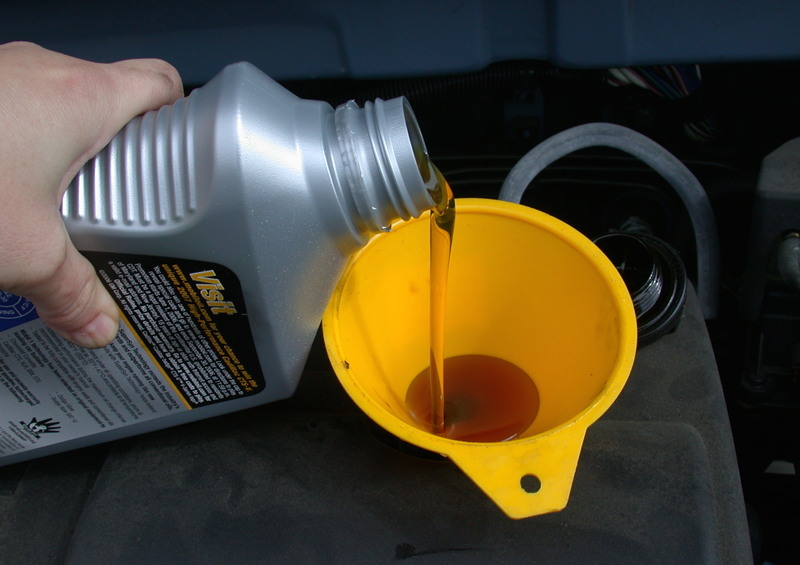 If you have an older car, an oil change is recommended for around every 3,000 miles traveled. However, do your research first, as changing your oil too frequently can actually have the opposite to the desired effect. Many new cars only need oil changes around every 8,000 miles or even longer in some cases. Your brakes will be changed a lot of times throughout the years, but you can lessen the number if you simply ease off of them a little. Some drivers are guilty of braking far too hard and often. This can happen as a result of too much speeding and over acceleration. When you drive defensively, you will probably be giving your brakes a break as well as yourself. Whether it is tire tread or tire pressure, anything relating to tire maintenance is crucial for a car owner, and it is surprisingly simple to do. Trying to drive with insufficient tire pressure can also have a knock on effect on other aspects of your vehicle–ones that will be far more expensive to fix. You have probably heard it said that you should keep your gas tank at least halfway full when possible, and there are a number of reasons why this is the case. One crucial reason is that your fuel pump is cooled and lubricated by the fuel in the tank, and will not last as long the emptier your tank is kept. This reason alone is enough to keep your tank half full–better gas mileage is just an added perk!